Want to promote your solution/ products or educate the market? Why not take this opportunity to expand your business or treat your clients? We have prepared flexible packages for you to achieve success in the event. Rommelag ENGINEERING is the inventor and worldwide leader of Blow-Fill Seal technology (BFS): which is used to package liquid and semi-solid pharmaceutical products since the 1960’s. Our advanced aseptic process uses plastic polymer material to form, fill and hermetically seal a container in a highly integrated process. The high automation level, high aseptic assurance, low particulate burden found in the containers has increased interest in BFS technology, also of sensitive products such as vaccines and other biological products that traditionally use other packaging technologies. 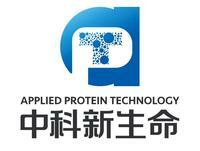 Shanghai Applied Protein Technology Co.,Ltd (APT), established in 2004, is dedicated to the development and application of mass spectrometry methods in protein, peptide analysis, life science research. Having both China Metrology Accreditation and ISO9001 quality management system certificate, APT has cooperated more than 2000 research projects in protein, peptide, biomolecular analysis during CMC research. Rely on our laboratory information management system (LIMS), which has independent intellectual property rights, confidentiality of customer information and research data are guaranteed. LIMS is totally tally with national standards demonstrated by customer audit and inspection by the food and drug administration. We have accumulatively cooperated with exceeds 500 pharmaceutical companies and research institutions, and assisted them in obtaining clinical trial approvals. Healthgen Biotechnology Corp. (HealthgenBiotech) is a private company founded in 2006. We are focusing on developing, manufacturingand marketing a series of environmental friendly and safe products by using theState-of-the-Art platform called OryzHiExp, having high capacity to express proteins or small peptides in the rice grain. SEPPIC is the HealthcareSpecialty Ingredients subsidiary of Air Liquide Healthcare.For over 60 years,SEPPIC has been designing and supplying specialty ingredients for the beautycare and healthcare markets.Under the trade name MONTANIDE™ ,SEPPIC is developing and promoting worldwide innovative intelligentready-to-use vaccine adjuvants able to improve and modulate vaccine propertiesfor animals to build a healthier future.SEPPIC provides adjuvants for use incancer vaccines as well as those for infectious and autoimmune diseases dedicatedto human health.SEPPIC offers a range of extremely high quality emulsifiers andsolubilizing agents dedicated to injectable applications. Established in 2007, Sunnyscience is a teamwho has international perspective, full of energy. We always provide better products with reasonable prices to our customers. With focus on the vaccine industry for more than 10 years, we supply high quality products such as Australian CellSera FBS, temperature recorders, auto syringes to the vaccine companies. 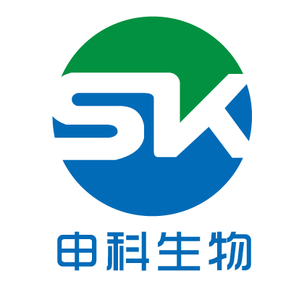 Seaskybio was founded 2005 in Beijing, now we have offices in Shanghai and Guangzhou .We can supply fine biochemical reagents to pharmaceutical companies，universities and research institutions. Seaskybio is well known for its comprehensive program offine biochemicals, supplying pharmaceutical factories andlaboratories with top quality reagents. A range of reagents for vaccine and diagnostic industries was brought to the market during these14 years. Fourteen years of experience in the supply of quality reagents nationwide. This know-how is the platform for outstanding customer service - all you need to succeed. Biological Industries（BI）, founded in 1981, is a world-famous biotechnology company in Israel. As the leading supplier in the life sciences research and biotechnology market in Israel, BI exports their products to over 40 countries worldwide. All the products are manufactured under stringent quality system in a cGMPcompliant ISO9001 and ISO13485 certified facility. The products have passed EDQM and have CE Marking.BI's diverse portfolio of products includes all of the following:Cell Culture Medium and Auxiliary Reagents, Products for cytogenetics,molecular biology, cytokines, growth factors and protein hormone products. Cobbetter, a Technology & Innovation driven global filtration company, has always been committed to the development of filtration technology. More than a dozen overseas experts lead a team of nearly 100 R&D engineers to research various microporous filtration membranes, nanofibers, deep filtration membranes, and ultrafiltration membranes. Cobetter, with over 1,200 specifications of filtration and separation products and more than 100 patented cutting-edge technologies， has a variety of unique core materials. Our biopharmaceutical products are widely used in the filtration of antibodies, recombinant proteins, and blood products. What's more, we have established a complete biopharmaceutical filtration and separation industrial chain through deep filtration, virus filtration, ultrafiltration, sterilization filtration scheme design to verification testing and analysis. 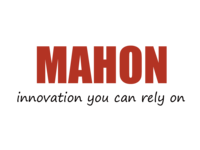 Shanghai Mahon Biotechnology Co., Ltd.is a professional company focus on animal care market.We manufacture and sell surfactant, emulsifier, solvent, emollient etc.We are focusing on vaccine, veterinary drug, pet care for more than 10 years.Meanwhile, we also introduce many famous overseas suppliers into China market, including Themofisher, Merck, Clariant, Brenntag, H&R, Croda, Dubois, Dow etc.